The latest toy craze emerges with Fidget Spinners. Meet the Fidget Spinner. It’s taking the toy world by storm and is the latest toy sensation. 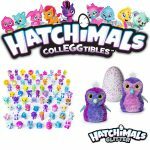 Better watch out Hatchimals – there’s a new toy craze in the world of toys called Fidget Spinners! Fidget Spinners are coaster-sized plastic or metal toys that spin. Interestingly, they were designed to alleviate stress and anxiety. And, seemingly, they came out of nowhere to everyone’s surprise. The true origins of the toy craze are unknown but perhaps it all started in schools. Now these spinning toys are dominating sales charts across the toy world. These spinning toys are available at multiple price points ranging from as low as $2 to a whopping $500 and in an assortment of different colors. Some are even being created to glow in the dark while others have superhero themes based, like Batman, for instance. With the Fidget Spinners, you can watch as it spins in your hand and you can even spin it on the table or floor. It’s really such a simple idea and it’s really becoming a huge phenomenon across the United States. The phenomenon is becoming even bigger for several reasons. 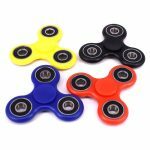 First, there’s a ton of sellers of Fidget Spinners on major e-commerce sites like Amazon.com and eBay. More and more companies are creating knock-off products with similar functionality. 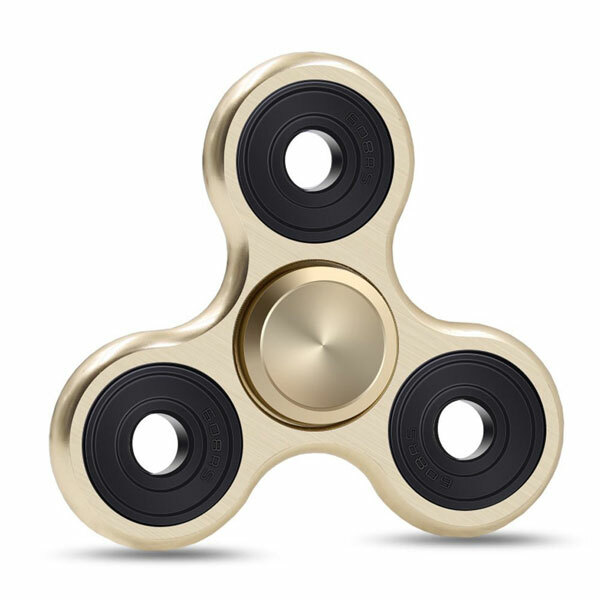 Then there are groups on social networking sites, like Facebook and Reddit, that are devoted to these Fidget Spinner toys. In a sense, they serve as brand ambassadors evangelizing the toy. It’s like free PR and advertising, further driving the phenomenon. On YouTube, you see various people showing off their new toy. Apparently, even cats love Fidget Spinners, as seen in a ton of YouTube videos. So what’s the big appeal of this latest toy craze? One expert weighs in and believes that people are using it to stimulate the part of their brain that gets board, and this reportedly helps them sharpen their focus on the other side of their brain. Some teachers aren’t so keen about the trendy new toys. At least one teacher has expressed that students are more focused on the spinner than their work. Further, some believe it distracts other students who are there to learn. Reportedly, some schools have banned Fidget Spinners from their classrooms as they have been deemed to be distracting. The toy craze caught on quickly in schools. At first you would see a few Fidget Spinners. And now practically every student seems to have one. Interestingly, schools aren’t the only place driving this latest toy craze. In fact, Fidget Spinners are favorite office toys for adults. Co-workers have also been known to gift these fidget spinning toys. Forbes had some of its staff members test drive the Fidget Spinners. Their findings were that the majority of staff members were pleased with the spinner but didn’t feel they provided much, if any, mental benefit. Interestingly, some felt it actually made them pay closer attention to their surroundings instead of burying themselves in their phones while riding the subway. A few of the participants spent more time fidgeting with the spinner instead of taking trips to the pantry. Perhaps a major reason why these spinners are such a hit could be because they serve as a distraction. Our source article suggested that they could be distracting us from other distractions we might otherwise partake in. One Arizona Republic reviewer stated this is not a bad fad if kids aren’t stuck with their heads buried in their phones or iPads. Will this toy craze simply be a fad or will Fidget Spinners be able to maintain the momentum through the year and make it to Toy Buzz’s elusive Top Toys For Christmas 2017 list, highlighting the best toys of the year?